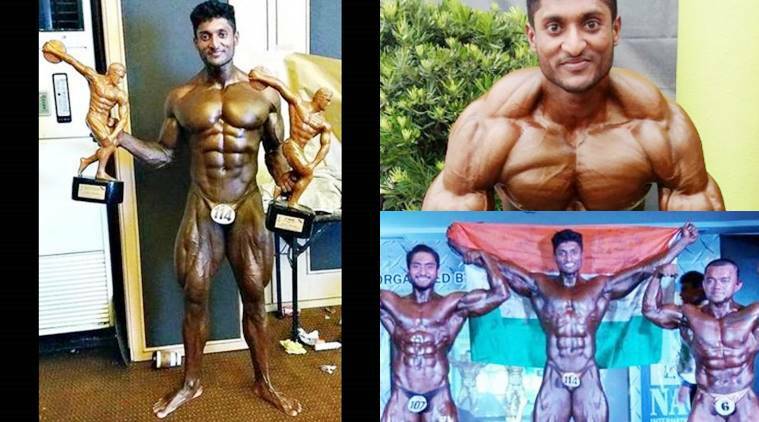 25-year-old water tanker driver from Bengaluru has won two distinctive bodybuilding titles – the Mr Asia 2016 and “Arnold Schwarzenegger of Whitefield” – during the 5th Phil-Asia bodybuilding championships in the Philippines. G Balakrishna, a gym instructor, is a resident of Ramagondanahalli near Varthur, who has a list of accolades behind him. “I am proud of my achievement and hope to repeat it more often with some financial support,”I owe it to my mother, Parvathamma, and brother Rajesh who have been my pillars of support,” he said. Balakrishna, an ardent fan of Arnold Schwarzenegger, said he practices nearly six hours a day and is trained by renowned bodybuilders from Mumbai and Punjab, named Sangram Chougla and Manish Kumar respectively. Balakrishna adds that he’d followed strict diet to bring down his weight for the tournament. “I am maintaining my position with a rich daily diet that includes 750 gms of chicken, 25 eggs, 300 gms of rice, 200 gms of vegetables along with fish for extra protein and fruits,” he said. He has earlier won the Mr Universe Under-24 junior contest in 2013 in Germany and the Mr Universe title in the same category at the world championship in Athens in 2014. He joined the water-tanker business in 2010 in Whitefild, Bengaluru. Be the first to comment on "Bengaluru driver, wins Mr. Asia 2016 title"